Mohit Chauhan is one of the best playback singer in Bollywood in present time and founder and front man of music band 'Silk route'. 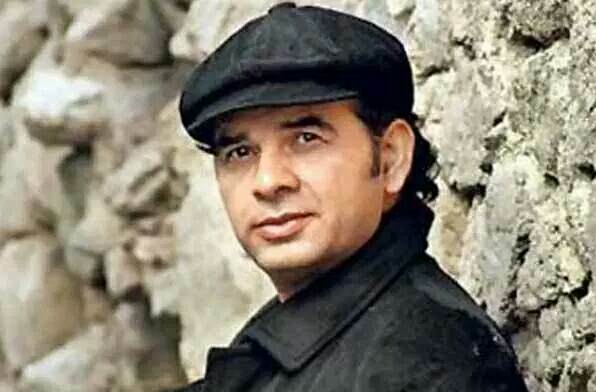 Mohit Chauhan born on 11 March 1966 in Nahan of Sirmaur district in Himachal Pradesh. Mohit has won several awards and Filmfare awards. His first album was 'Boondein' and dooba dooba was his first popular song. Mai Ni meriye of Mohit Chauhan downloaded in lakhs and made him popular singer but real fame got with his first album 'Boondein' songs were in Pahari, Hindi as well English language. In Bollywood his first popular song was 'Guncha koi Tere Naam Kar dia" from movie "Main, Meri Patni Aur Woh". He became number 1 playback singer in Bollywood and Himachal is proud of Mohit Chauhan for his tremendous work and songs in Bollywood. Address : Tehsil Nahan , District Sirmaur Himachal Pradesh. Mohit Chauhan born in Nahan of Sirmaur district in Himachal Pradesh on 11 March 1966. Mohit did his education from Delhi and Himachal Pradesh before he created 'Silk Route' band with his school classmate. They released two albums under 'Silk route' band. Mohit Chauhan came to Bollywood with his hit song 'Guncha'. After that he never looked back and gave some tremendous playback in movies Jab We Met , Rang De Basanti and Tanu weds Manu etc. Mohit had won several awards , Filmfare awards etc. Mohit Chauhan born in Nahan town which is headquarter of Sirmaur district of Himachal Pradesh. He have a sister and a brother. Mohit married in year 2012. Mohit Chauhan , playback singer of Bollywood belongs to Himachal Pradesh studied from St. Xavier school Delhi. Mohit did his graduation from Dharmshala college in Himachal Pradesh . Mohit did his graduation with a Master of Science in geology. Mohit Chauhan never learnt singing before entry in Bollywood but his fortune made him one of the top playback singer of Bollywood. Mohit started his career with a beautiful song ' 'Guncha' from movie 'main, Meri patni or vo' . Than he met with Oscar award winner AR Rehman and he approached Mohit for movie 'Rang De Basanti' whereas Pritam ask him for movie Jab We Met . These two movies made Mohit as best playback singer of Bollywood. Mohit won Filmfare awards for two times and nominated several time. * Maya Maya Re etc. Mohit Chauhan did his graduation from Dharmshala college Himachal Pradesh and moved to Delhi. His love for music motivated him to make music band. He created band named 'Silk Route' with his schoolmate Kim trivedi and Arpit Gupta and released two albums 'Pehchaan' and ' 'Boondein'. Later band got dissolved and Mohit Chauhan moved to Bollywood. Mohit Chauhan has won several more awards for his tremendous work in Bollywood and some of them are Zee cine award, star screen awards, mirchi music awards and IIFA awards etc for beat male playback singer . - Mohit Chauhan known for his some best songs like Mai Ni meriye etc. - Mohit gave songs for Himachali movie Saanjh of Ajay Saklani. - Mohit Chauhan dedicated his first Filmfare award to Himachal and all himachalis. - He also appeared in MTV unplugged. - Mohit took part in music reality shows like 'Ustaad' of 9x channel and 'Music Ka MahaMukabala' on Star Plus. - In his album 'Boondein' songs were in Pahari, English as well as Hindi language. - Mohit created advertisement jingles for some more companies like maruti suzuki, Vicks , Hippo munchies etc. - Mohit Chauhan also sing a song ' Po nee Po' for a tamil movie.